Charlie Chaplin is one of cinema’s most beloved and iconic film figures, and he turns 130 this April 16th! Most people remember him for his infamous Tramp character, but he was a monumental figure in early cinema, often times writing, directing, editing, producing, composing, AND starring in ALL of his films. Though he’s mostly remembered as a film clown, his total control over his projects allowed him to make some pretty bold social and political statements, some of which are still incredibly potent today. To us, very few film characters that are as lovable or endearing as Chaplin’s Tramp. There’s really no one out there can really rival Chaplin’s ability as a physical performer. We’re pretty convinced that his particular brand of slapstick will never not be funny. To pay homage to our favorite film clown of all time, we’re taking a brief look at 10 of our favorite Chaplin films! Shoulder Arms is Chaplin's shortest feature film, as well as the first feature film that he directed. Unfortunately, the absence of the Tramp makes Shoulder Arms a mildly amusing journey. For a Chaplin film, the gags are ultimately forgettable, but there are a handful of moments of pure comedy gold. The funniest sequences involve Chaplin struggling to sleep in a flooded barracks and spying on the Germans disguised as a tree trunk. Even though the film falls a bit flat, Chaplin is as charming as ever. Though its aged considerably now, it was extremely popular with troops returning home at the time of its release. Its most notable quality, perhaps, is that it showcases Chaplin's willingness to tackle tricky subjects to reveal their humor, which he would go on to do with greater effect later in his career. Chaplin’s The Immigrant is a hilarious charmer about an immigrant who can't pay for his meal. The film was huge with the urban working class, and it cemented Chaplin’s genius as a household name. The film is loaded with some clever gags which showcase Chaplin’s knack for comedic timing, both as an editor and a performer. To make its unsubtle message on the mistreatment of immigrants go down smooth, Chaplin wraps it in a cutesy romance sub plot, and its highly effective. With Monsieur Verdoux, Chaplin goes the darkest he’s ever gone, portraying a unemployed bank teller who kills wealthy women to support his wheelchair-ridden wife and their child. The film still very much operates within the standard lighthearted Chaplin feel, but its macabre subject matters allows the story to explore the dark nooks and crannies in a cheerfully playful way. The most notable quality about the film is how Chaplin masterfully uses the bend to his lovable persona to beguile moviegoers into empathizing with a killer. The comedy isn’t very heavy here, but there are still some great comedic moments — one of the best being Chaplin counting money to hilarious effect. In typical Chaplin fashion, he takes bold risks as with the film’s very unsubtle messaging, stating that the world encourages mass killers, and that the acts he’s committed are no more heinous the killing of many in a war. The film was not very well received initially, but it has since become more highly regarded. With Limelight, Chaplin continued to move further away from his baggy-pants-wearing Tramp. The film follows a fading comedian and a suicidal despondent ballet dancer who look to one another to find hope and meaning in their lives. 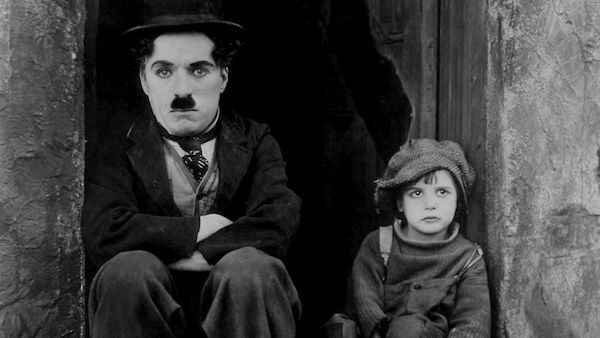 Upon its initial release, it divided critics, was heavily boycotted in the United States, and failed commercially; however, it has since become regarded as one of Chaplin's best and most personal works, attaining a devout cult following. Its re-release in 1972 even allowed Chaplin to contend in the 45th Academy Awards, where he received one and only competitive Oscar. The thing that is the most remarkable about the film is how Chaplin uses the character to explore and commentate on his own live as a vaudevillian performer and cinema clown, showing he had “come to terms with his life” (to steal some words from Roger Ebert). Its tragi-comic entanglement is largely successful because it overflows with rich drama, which had always been somewhat lacking from Chaplin’s other films. Despite earning Chaplin an Oscar in 1928 (AKA the first ever Oscar ceremonY, The Circus was virtually lost for half a century due the many disasters that struck the production. To name a few, the circus tent set burned down, and a reel of finished film was lost. Due to his perfectionist nature, Chaplin also demanded 200 takes for a difficult scene on a tightrope, which did not help ease tensions on set. What makes the film important, however, is that it marks the last of Chaplin’s lighter comedic efforts, devoid of any higher purpose other than to make audiences keel over with laughter. And, in that sense, The Circus is highly effective. Chaplin shows a knack for physical, acrobatic comedy that works to great effect thanks to his pitch-perfect timing. Our personal favorite bit is Chaplin impersonating a mechanical dummy to avoid getting apprehended by the police in a chase; it’s just classic Chaplin fun. The Gold Rush is easily amongst Chaplin’s most beloved works, and it features a lot of gags that are quintessential to Chaplin’s career. Namely, the scene where the Tramp performs a tabletop dance using dinner roles is one of his most iconic sequences. In typical Chaplin fashion, there’s a lot of heart and pathos laced into the comedy, and the set design and set pieces are incredible. The audience is so easily able to latch on to the Tramp emotionally, which makes the film successfully in every sense — not only is hilariously entertaining, but Chaplin gets the audience to genuinely root for the Tramp to succeed. The film really encapsulates Chaplin’s prowess as a writer, director and star; no one can quite mix the slapstick with sentimentality quite like Mr. Chaplin. Charles Chaplin's first self-produced and directed feature film is probably his most viscerally emotional films. A story "with a smile and perhaps a tear," The Kid really takes the viewer on a rollercoaster ride, delivering thrills, laughs, and lots and lots of heart. It’s rumored that the inspiration for the film was the death of his own first son, Norman Spencer Chaplin, who died a few days after birth in 1919. The feeling sadness, loss, and grief that he felt was channeled into something beautiful, touching, and cathartic. While it may be rough around the edges, with Chaplin still trying to find is form, it’s so tender and charming and emotionally gripping that it’s hard to deny its power. It is with this terse words that Chaplin opens his first talking picture: "This is the story of the period between two world wars--an interim during which insanity cut loose, liberty took a nose dive, and humanity was kicked around somewhat." Released in 1940, in the early phases of WWII, Chaplin boldly confronted the world’s greatest evil with hilariously biting satire. There’s classic bits galore, but its the rousing emotional climax of the film that makes it so uniquely special. Courageous, cutting edge, touchingly human, and downright hysterical, The Great Dictator is a testament how truly fearless Chaplin was. Chaplin’s City Lights is the most touching romantic comedies we’ve ever had the pleasure of laying eyes on. Every Chaplin film exudes a certain amount of heart and humanitarianism, but City Lights is overflowing with warm, fuzzy sentimentality. After 88 years, Chaplin’s a blend of slapstick and sentiment is still thoroughly hysterical and deeply affecting. The gags are still feel fresh and fun, the music (composed by Chaplin himself) flawlessly translates the characters' emotions through its melodies, and the final scene is one of the most touching in cinema history. All in all, it’s a delightful romance whose magical qualities still have us under its spell. In terms of gags, Chaplin’s Modern Times is the pinnacle. Chaplin’s physical display is off the charts. He uses everything in the scene to milk laughs, and the set ups are clever and unique. One of the most memorable bits includes a feeding machine, which Chaplin rings every ounce of comedy out of, but our favorite bit includes Chaplin snorting cocaine — that’s how bonkers this film is! The sets are also mind-bogglingly good, full of intricate gears and cogs, and they help make Chaplin’s satiric jabs at industrialized America land with an even bigger force. Modern Times is the perfect example of Chaplin’s bravery (with regard to subject matter and message) and his uniquely uncanny ability as a perform, which is why it’s our favorite Chaplin film of all time. That’s our list! What’s your favorite Chaplin film? Did we leave it off our list? We want to know. Share your thoughts and feelings in the comments section below, and as always, remember to viddy well!